Fleet managers may differ on many topics but one subject of agreement is the matter of accidents affecting the financial sustainability of a company. According to the National Highway Traffic Safety Administration (NHTSA), U.S. motor vehicle crashes in 2010 cost almost $1 trillion in loss of productivity and loss of life. That’s why many companies have adopted accident avoidance programs for their fleets. It’s been proven the implementation, development, and enforcement of such programs reduce costs and lessen liability. If you have doubts about the relevance of an accident avoidance program, just look at the numbers. In 2010, there were an estimated 5,419,000 crashes (30,296 fatal crashes), killing 32,999 and injuring 2,239,000. If you consider that a typical driver in the U.S. travels 12,000 to 15,000 miles annually, it equates into a one in 15 chance of being involved in a motor vehicle collision each year. With most fleet drivers traveling 20,000 to 25,000 miles or more each year, they have a greater crash exposure. This is why the most dangerous part of the day for any employee is the time they spend in their vehicle with a crash occurring every 5 seconds, property damage occurring every 7 seconds, an injury occurring every 10 seconds, and a motor vehicle fatality occurring every 12 minutes. Additionally, motor vehicle crashes are the leading cause of occupational fatalities in the U.S. AAA said accidents cost $164.2 billion each year, which based on the methodology used in the report, comes to an annual per person cost of $1,051. By contrast, the implementation of an accident avoidance program has a polarizing affect. As an Occupational Safety & Health Administration (OSHA) publication illustrates, a company in Vermont has approximately 250 employees. They operate the 280 vehicles (pickups, tractor-trailers, dump trucks, etc.) in the fleet. 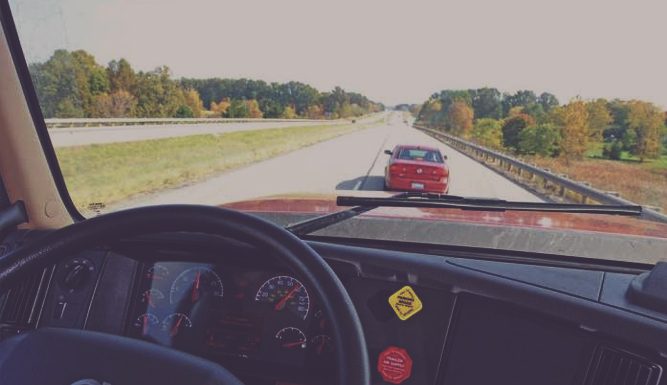 Their fleet safety program requires all new drivers to receive classroom training; each is assigned a veteran “mentor.” Veteran drivers attend annual classroom training, reviewing topics that include federal regulations and accident avoidance techniques. All drivers attend weekly “toolbox” talks to discuss fleet safety topics. The resulting data demonstrated that company drivers traveled over 2 million miles in 2003 hauling construction equipment and materials, performing construction activities (many were in highly dangerous work zones) and did not have any significant roadway incidents. Workers’ compensation claims for vehicle incidents dropped from a high of 73 percent of total losses in 2001 to 2 percent in 2003. Vehicle property damage losses also followed this trend. Implementing an accident avoidance plan is simple. OSHA recommends that your company follow these ten steps to any accident avoidance program. Lastly, smart fleet managers have adopted an Internal Policy as well as document the training program requirements. This should include contingencies that allow for remedial training for those who fail the program or involved in a ‘at fault’ accident. Many fleet management software programs now allow you to record the accident data, thus allowing the user to budget for increased training, enhanced maintenance, and trip scheduling as a means to reduce the probability of an accident. Also, make certain that review processes can calculate the real cost of an accident. Aside from vehicle repair cost, this includes obtaining statements, photos, police reports, drug testing, hospital bills, towing and storage charges. Don’t forget to calculate savings from discounts on your insurance that is realized from adopting a comprehensive accident avoidance program.